The Lamborghini Huracan Coupe is a modern masterpiece. Choose to hire the Lamborghini Huracan for an unforgettable driving experience. The modern masterpiece is available with unlimited mileage and delivery throughout the UK, at no additional charge. The Huracan RWD goes back to the basics and embraces the legacy of some of the most exciting rear-wheel-drive cars of all time. With a perfect balance between agility, steering response and drivability, the high-tech Huracan turns into the purest example of a super sports car which is fun to drive. The Lamborghini Huracan hire is capable of reaching 62mph in just 3.4 seconds with a top speed of 198mph. The newly designed elements offer a more aggressive shape, with the perfect balance between agility and drivability. The Lamborghini Huracán RWD’s V10 naturally aspirated engine allows you to unleash the wild power of 580 HP and a maximum torque of 540 Nm. Driving is no more a simple act, it is no more just a way to travel: driving now is pure fun. Hire the Lamborghini Huracan Coupe, which is a true high-performance vehicle, now available to rent from Prestige Car Hire. We offer unlimited mileage and UK wide delivery on this supercar hire. 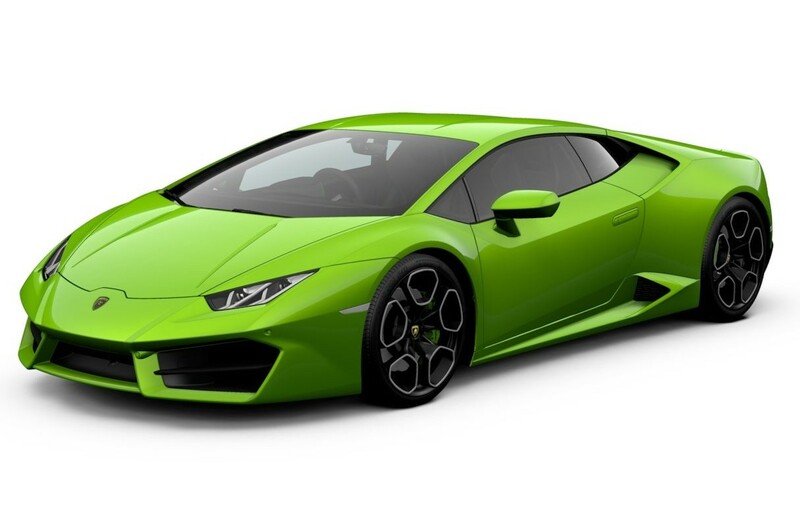 Rent a Lamborghini Huracan Coupe from Prestige Car Hire TODAY! We've found these cars with a similar 0-62mph time to the Lamborghini Huracan RWD Coupe.